In addition, a separate study of 337,000 workers compensation claims in 25 states published last year by the independent Workers Compensation Research Institute (WCRI) found that 55% to 85% of injured workers who missed seven days or more of work received at least one opioid prescription. Rates of longer-term opioid use varied widely among states, the WCRI study found, including one in six injured workers in Louisiana, and one in 10 in California, New York, and Pennsylvania, but only one in 30 in New Jersey and Missouri. Due to the epidemic spread of opioids among workers, a number of states are taking steps through their Workers’ Compensation systems to stem the overprescribing of the powerful painkillers to employees injured on the job, while helping those who became hooked to avoid potentially deadly consequences. 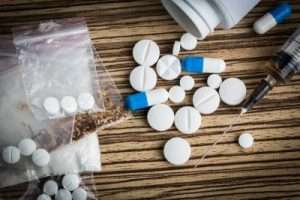 In a recent article published by the Associated Press, Omar Hernandez, an administrative judge who resolves Workers’ Compensation disputes for the Massachusetts Division of Industrial Accidents, along with other judges who became alarmed by overdoses and deaths among people in the state’s workers compensation system, is spearheading a voluntary program for people who had settled claims but were still being treated with opioids. The program offers an expedited hearing process to resolve medication disputes with insurers and assigns care coordinators to help guide workers toward alternative treatments for pain. In New York, the Workers’ Compensation Board in October announced it would allow insurers to request hearings to determine whether a claimant should be weaned off opioids. Additionally, as we cited in our article last year under the new rules by the Ohio Bureau of Workers Compensation, reimbursement for opioid prescriptions can be denied if it’s believed physicians are over-prescribing or otherwise failing to follow “best medical practices” in treating injured workers. The rules also allow the Ohio Bureau to provide treatment for opioid dependence to workers who became addicted to painkillers after getting hurt. These and other steps taken in Ohio to combat opioid abuse have resulted in 44% fewer injured workers receiving opioids in the past five years, saving $46 million in drug costs. Click here for more information on how to connect with new workers comp claimants.